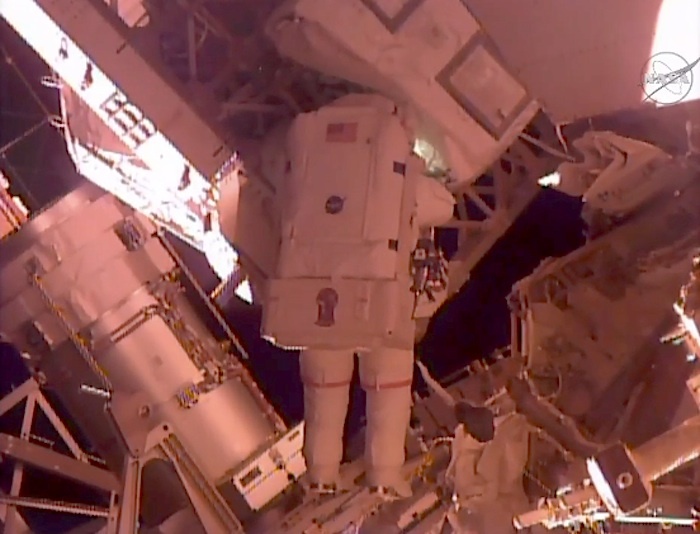 Two U.S. astronauts wrapped up nearly seven hours of electrical work and maintenance chores outside the International Space Station on Wednesday, part of an ongoing upgrade to prepare the outpost for new commercial space taxis. 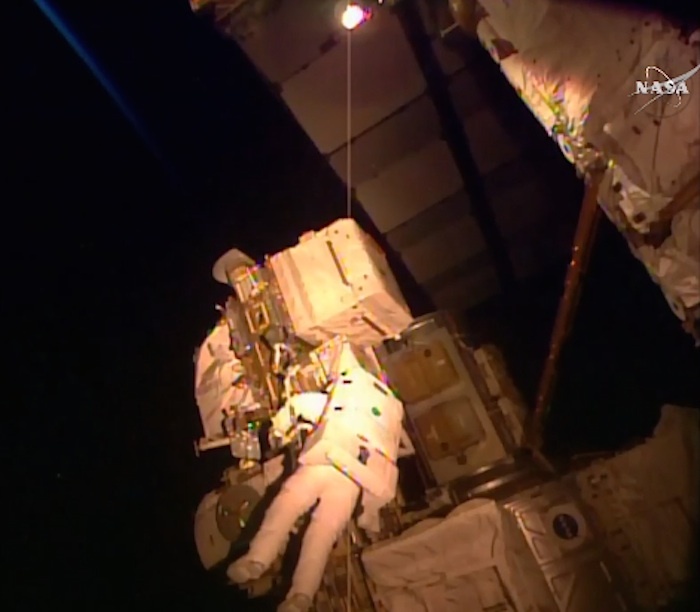 Station commander Scott Kelly and flight engineer Kjell Lindgren left the station's airlock around 8:30 a.m. Eastern time (1230 GMT), the first spacewalk for both astronauts. 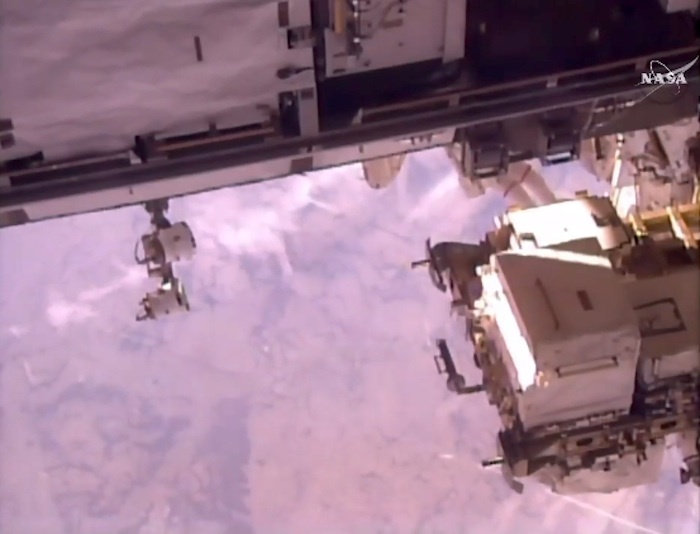 NASA had hoped to have the station outfitted with two new berthing slips before the end of the year so that commercial space taxis under development by Boeing and privately owned Space Exploration Technologies, or SpaceX, would have places to park. 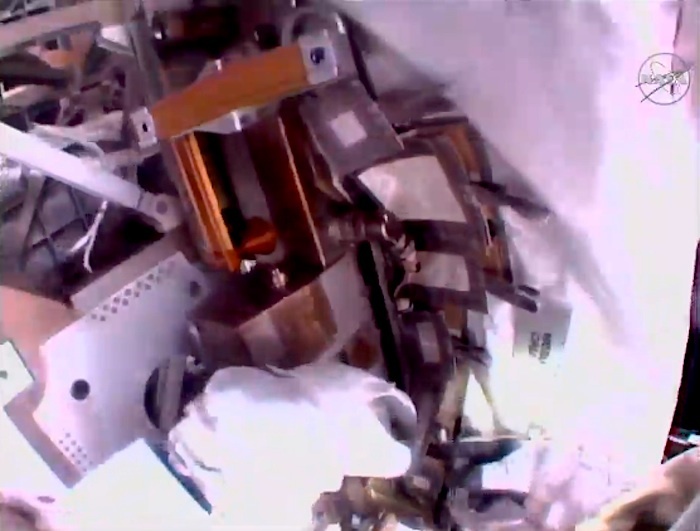 But the first docking adapter was lost in a botched SpaceX Dragon cargo run in June. 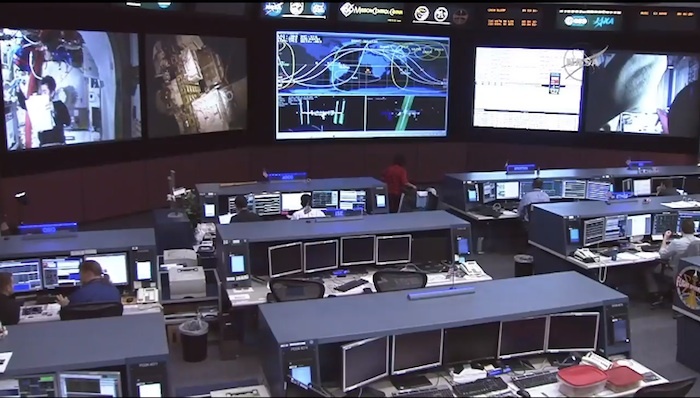 "We haven't been able to do everything we hoped we would," Kenneth Todd, station operations integration manager, told reporters last week. 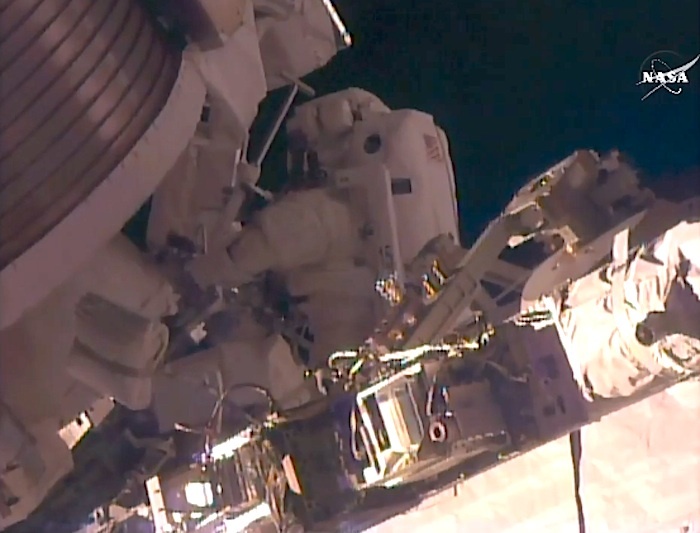 Still, NASA expects to have the docking ports ready before Boeing and SpaceX are ready to begin test flights of their crewed capsules in 2017, Todd added. 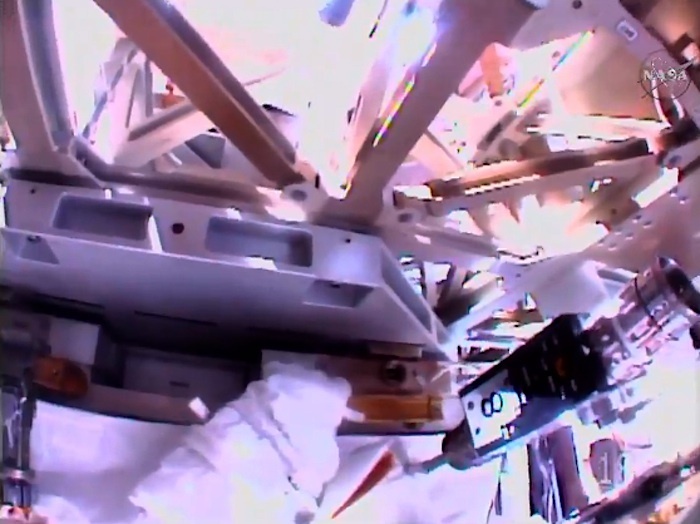 Picking up work from NASA's last spacewalks nearly eight months ago, Kelly and Lindgren set up electrical and data cables that will be needed for the new docking ports. 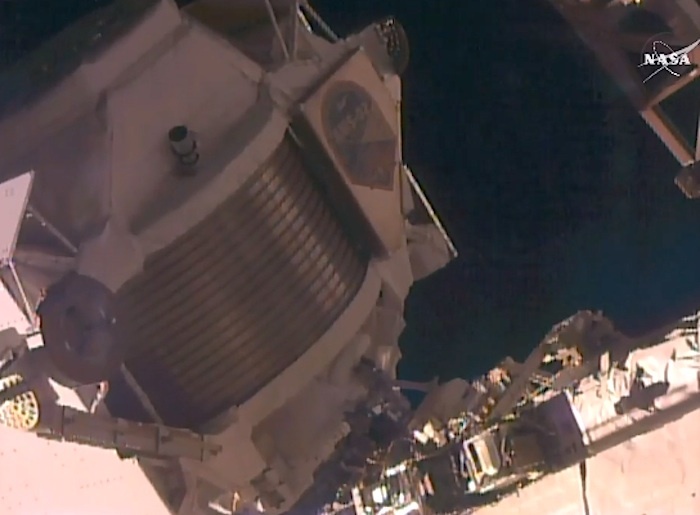 The first docking adapter now is expected to reach the station in early 2016. 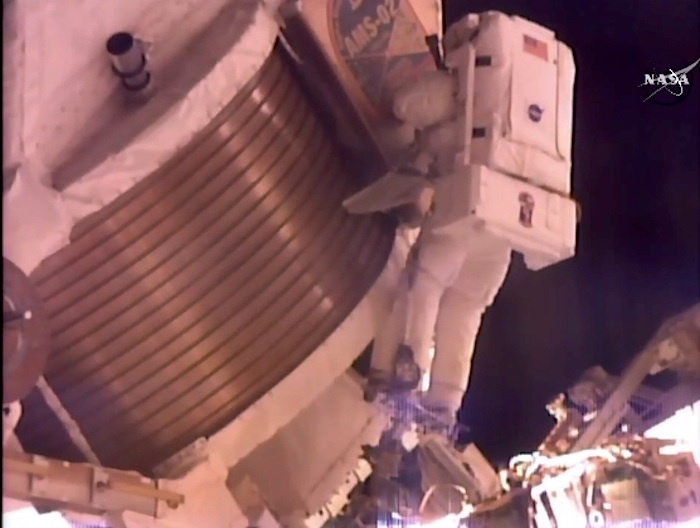 NASA is working on getting a replacement for the equipment lost in June and hopes to have it aboard the station in April 2017, Todd said. 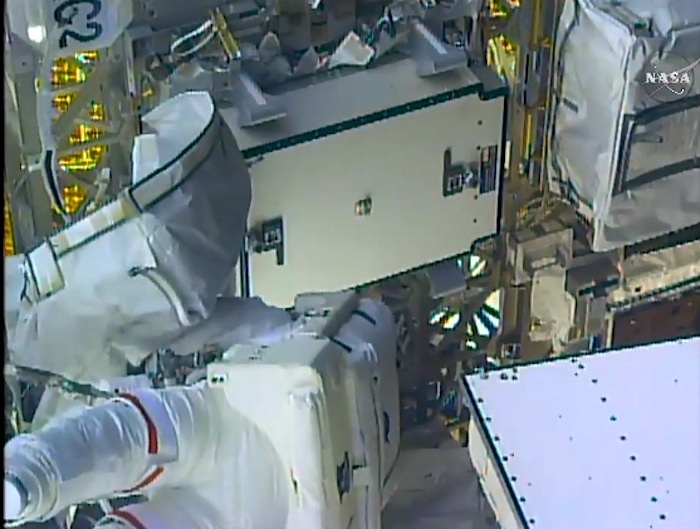 Kelly and Lindgren also installed a thermal cover on the station's $2 billion Alpha Magnetic Spectrometer particle detector, a multinational experiment intended to shed light on dark matter, cosmic rays and other high-energy phenomena. 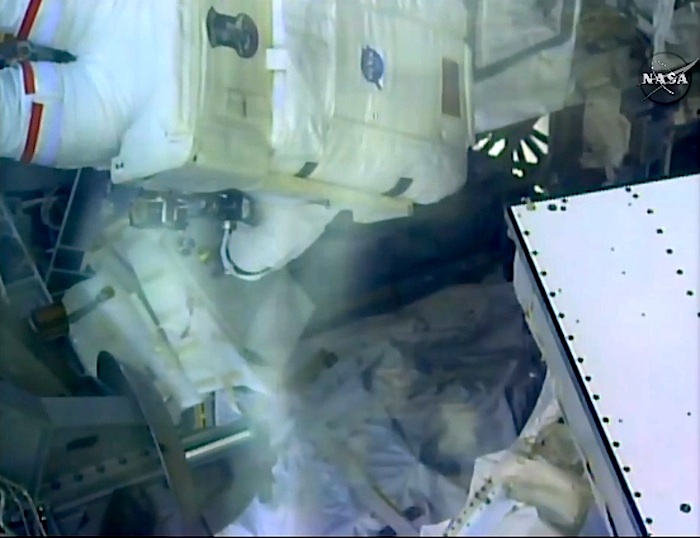 The cover will better protect the instrument against the temperature extremes in space, which scientists hope will prolong its life. 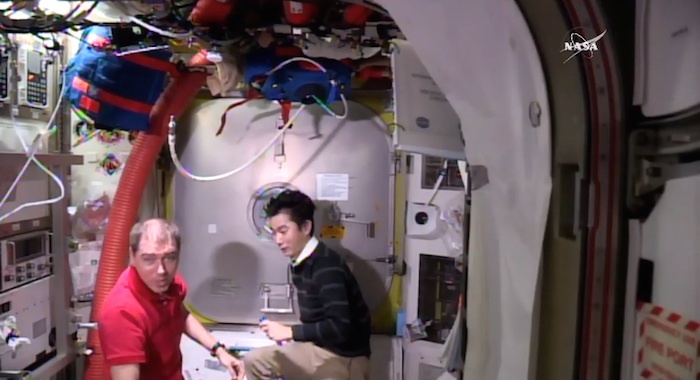 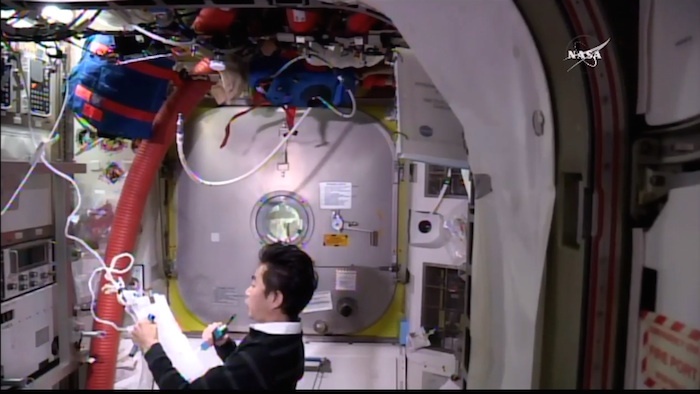 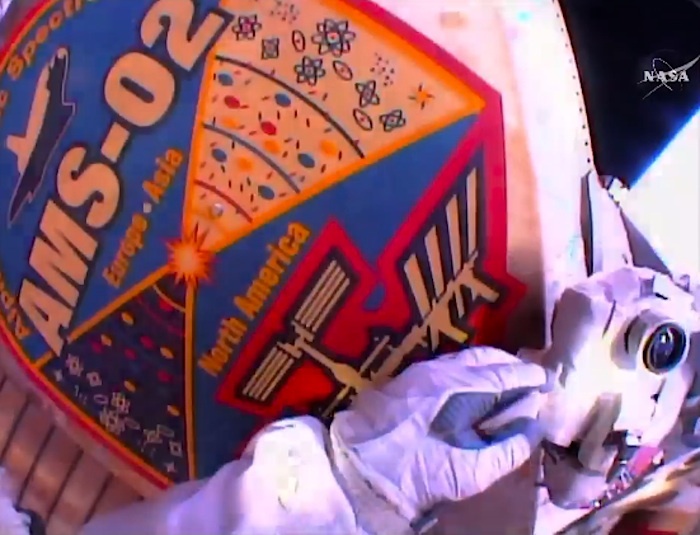 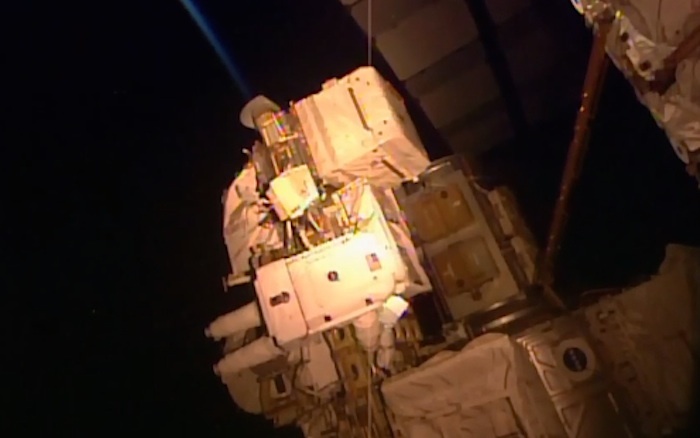 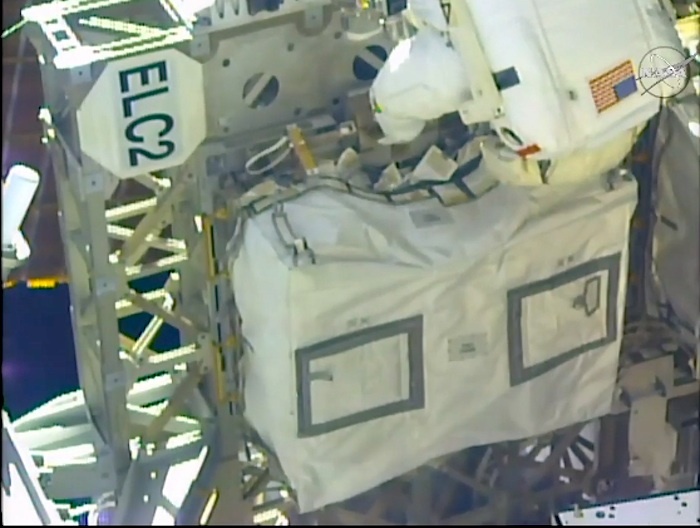 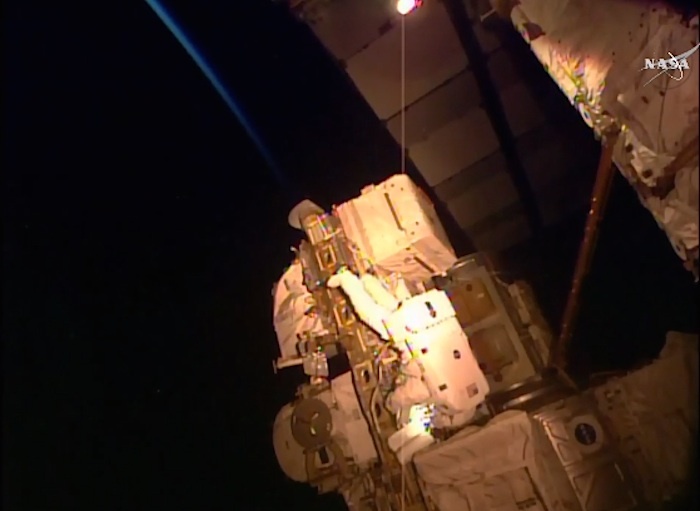 The spacewalkers also lubricated the station’s robotic arm. 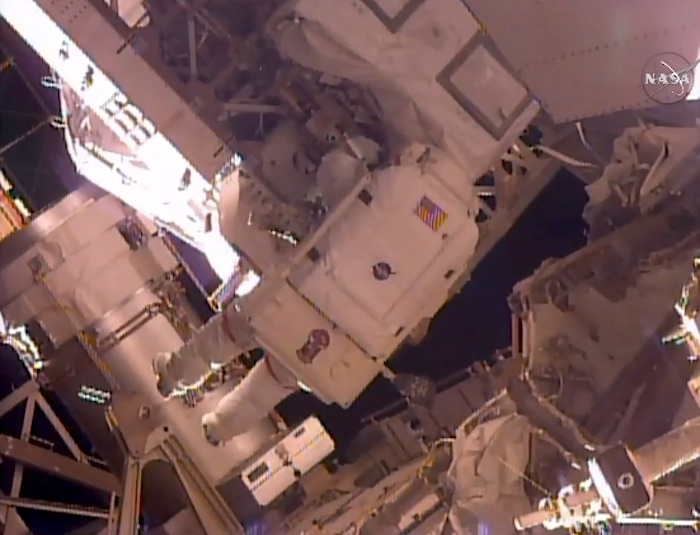 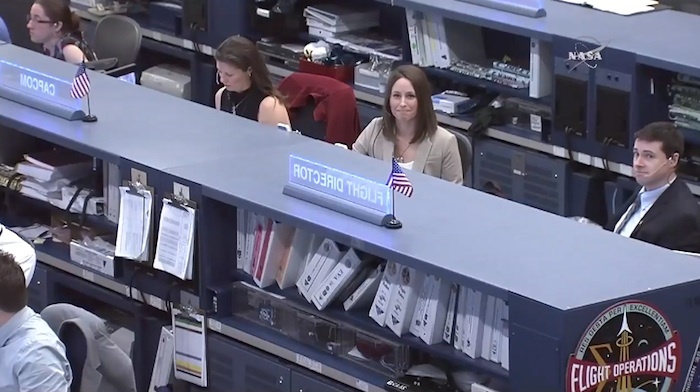 Kelly and Lindgren are slated for a second outing on Nov. 6 to reconfigure one of the station’s cooling systems. 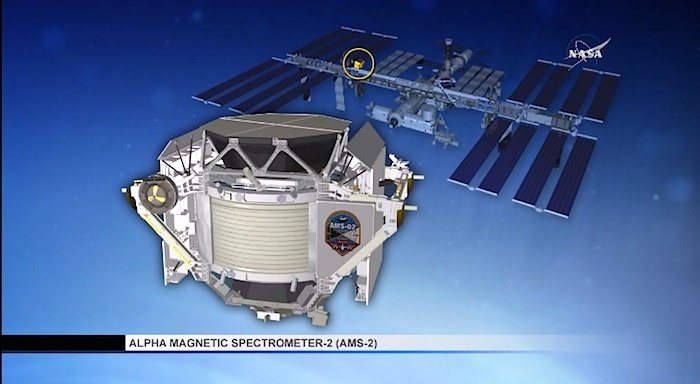 The station, a $100 billion research laboratory that flies about 250 miles (400 km) above Earth, is expected to remain operational until at least 2024. 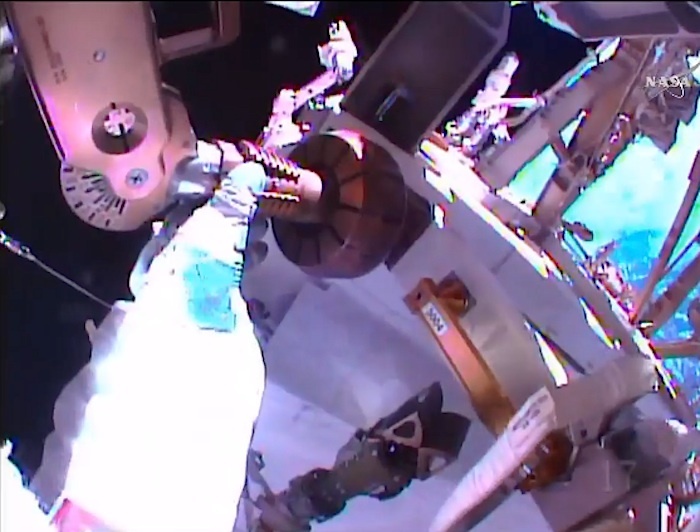 The station, which is owned by a partnership of 15 nations, has been continuously staffed by rotating crews of astronauts and cosmonauts for 15 years.